The West Midlands (UK) region is fast becoming recognized as one of the key EU regions with regard to the development of "Serious Games". b) carrying out a mapping of the "Serious Games Industry" within the UK, and take a global snap shot to map where the UK fits into the worldwide perspective, called Serious Games Exposed. Results so far have shown the West Midlands to be the most active in the UK in terms of Serious Games. A variety of new Serious Games products are currently in development within the West Midlands region which will be available to purchase in the near future. David Wortley, Director, SGI says the "Diversify the Games Industry" project is an initiative to create opportunities for electronic games and related digital media companies to develop their business by involvement in the Serious Games sector. The "Serious Games" Exposed project is funded by AWM (Advantage West Midlands) under the Interactive Digital Media Project Digital 2.0 has partnered with the Serious Games Institute to carry out the project, and shall complete it by March 2008. This project has been defined and set up through the recognition of gaps in the Serious Games market which required attention in order for the industry to grow. By investigating companies defining themselves as serious Games companies, and those who will compliment the sector, readily available products will be sectioned out to create an on-line brochure, allowing ease of use for prospective buyers. The final part of this study is to carry out an effectiveness study on select games. 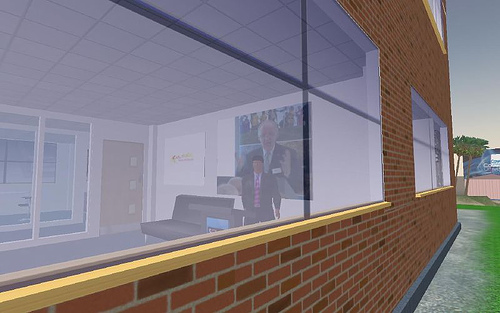 The Interactive Digital Media project is managed by Birmingham City University and funded by Advantage West Midlands. The project main objective is to establish the West Midlands as a key player in the emerging industry of Serious Games. The partners, Birmingham University, Coventry University and Warwick University, all have strong links to the Serious Games industry. This coupled with a strong group of games developers, puts the region in a position to drive the industry and is fast become the centre of the emerging industry in the UK, if not for Europe. The project is actively pursuing organisations, both private and public, that wish to partner with and benefit from the region’s wealth of talent, resources and commitment to growing the "Serious Games industry". Advantage West Midlands is the Regional Development Agency (RDA) for the West Midlands. They are one of nine RDAs in England that were established to transform the English regions through sustainable economic development. Their role is to lead the economic development of the West Midlands, working alongside a wide range of public, private and voluntary sectors partners to help our region to prosper - building upon their many strengths and addressing their unique challenges. Advantage West Midlands has an annual budget of more than £300 million to invest in the economic development of the West Midlands and, at any one time, is managing around 2,500 projects which are changing the lives of people right across the region. Digital2.0 exists to help people understand games, and games technology, primarily for serious purposes. Digital2.0 helps to make this less complicated: they understand how games, games technology and virtual 3D environments, could be used to solve business issues. Digital 2.0 has worked with a range of clients from public to private sector and have experience at all stages of Serious Games development. 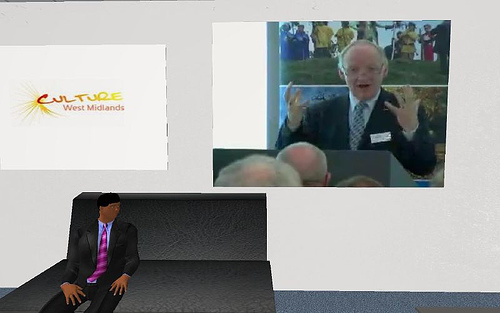 Advantage West Midlands is the regional development agency (RDA) for the West Midlands. We are one of nine RDAs in England established to transform the English regions through sustainable economic development. 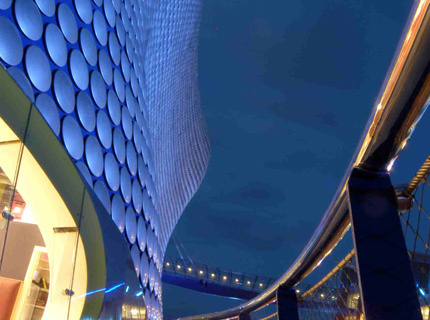 Its role is to lead the West Midlands region towards greater economic prosperity. We work alongside partners to build upon our region’s many strengths and to find solutions which address its unique challenges.